The March While Rome Burns event is going to be good. Really, really good. Portland’s first lady of the blues, LaRhonda Steele will be headlining our March benefit in support of the remarkable organization Right To Health. Opening will be 2 8 Tha Native & Stryk-9, whose hip-hop-from-a-native-perspective floored us at our post-Thanksgiving show last November. Right To Health is a 501(c)(3) non-profit focusing on preventative health management, providing health outreach, education and empowerment to people concerned and/or affected by stress-related risks associated with racism. Right To Helath is mobilizing to send a clear message to prominent US health institutions (including the Centers For Disease Control) and social justice leaders. Thier message is this: The longtime denial of racism has been unmasked for what it is: “The Matrix” of our time. Denial bars us from our own humanity and renders our potentially helping hands immobile. We cannot truly be equal as Americans while our most respected health institutions subtly perpetrate racist tactics by not recognizing racism meets their own criteria. LaRhonda Steele is the 2017 and 2016 Muddy Award winner for Best Female Vocalist presented by the Cascade Blues Association. LaRhonda’s first solo was at age 13, singing in church in Jones, Oklahoma. Since then she has traveled and worked extensivley with local, national and international artists, including Curtis Salgado, Norman Sylvester, Janice Marie Scroggins and Gino Vannelli. 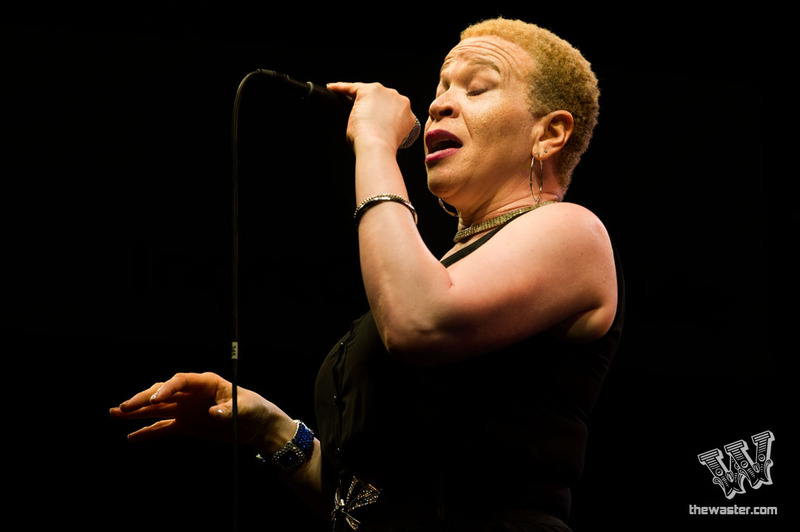 She’s performed in Porretta Italy at the 30th annual Porretta Soul Festival honoring American Soul Music, at the Lincoln Center with Obo Addy in 2005, and makes a yearly appearance at the Safeway Waterfront Blues Festival here in Portland. 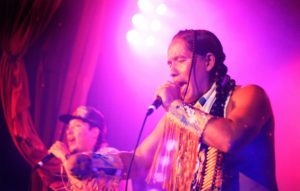 Native rappers Fish Martinez and Kunu Bearchum, better known as 2 8 Tha Native and Stryk-9 have teamed up to form the premier duo on the Burial Ground Society record label, an intertribal collective of artists who stand for decolonization, human rights, and environmental justice in Indigenous lands.